PHILADELPHIA—Saying she arrived hours before any of the members of the production crew, sources confirmed Thursday that presidential nominee Hillary Clinton has been waiting in the wings of the Wells Fargo Center stage since six o’clock this morning to deliver her speech at the Democratic National Convention. “I was heading to the green room to make sure the fridge was stocked when I spotted Secretary Clinton standing just off to the side of the stage in the dark, just sort of nodding her head softly while listening to the sound check,” said campaign aide Samantha Hartnett, adding that Clinton showed up to the arena already dressed and in makeup more than 16 hours before she was scheduled to speak and has, by all accounts, not moved from the same spot since arriving. “We asked her if she wanted water or anything, but she seemed pretty deep in thought and didn’t respond at all. Come to think of it, we never actually saw her leave last night. 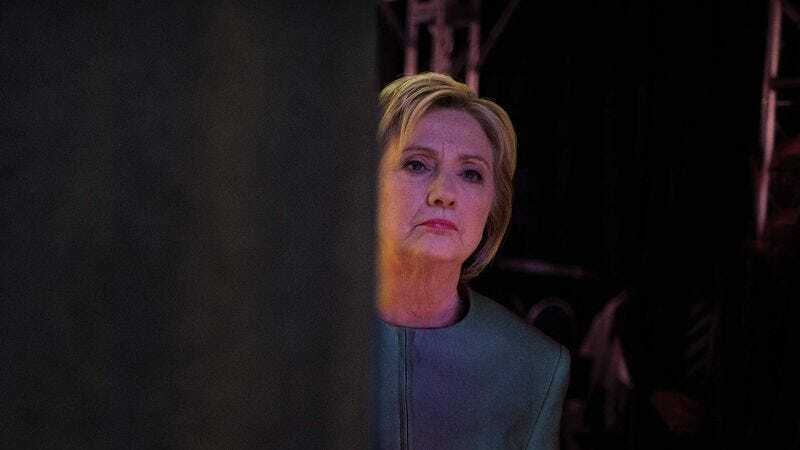 Maybe she never went home.” At press time, Clinton was reportedly spotted still waiting in the same location silently mouthing the words of her entire speech a 14th consecutive time.